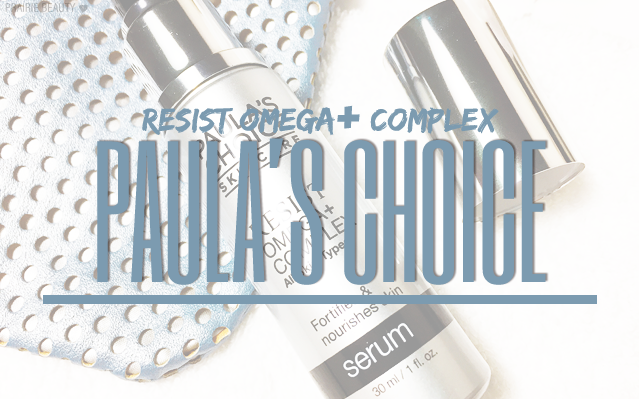 As I try more and more products from Paula's Choice, the brand is quickly moving towards the top of my favorites list. It's been ages since I fell in love with the Skin Perfecting 2% BHA Exfoliant, which I actually just recently repurchased, and I'm still consistently using the RESIST C15 Super Booster as a part of my morning skin care every day as well as trying out some products that I've never used before from the brand. 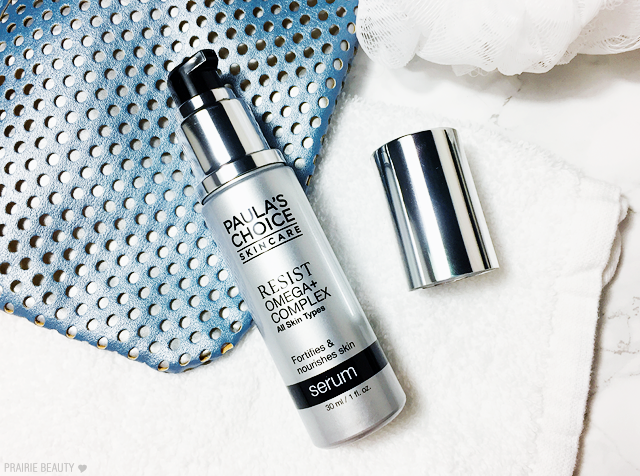 Most recently, I've been testing out the RESIST Omega+ Complex* and I'm super excited to review it for you guys! Superfood for your skin! Omega fatty acids in this serum strengthen skin’s surface with the essential nutrients needed for healthy, hydrated, visibly stronger skin. 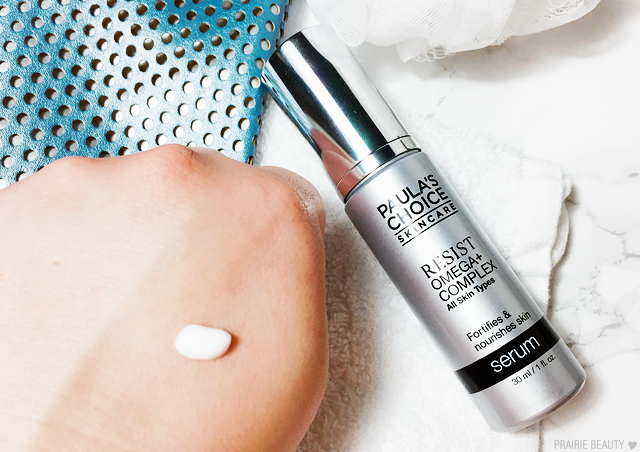 This serum contains robust levels of Omega 3, 6 and 9 oils plus skin-identical ceramides and hydrating ingredients to visibly improve skin’s health. Concentrated levels of omega fatty acids help replenish dull, dehydrated skin, revive a beautifully smooth, supple feeling plus visibly soften the appearance of fine lines and wrinkles. I actually started learning about the benefits of fatty acids for your skin in the past six months or so when I was looking into information on different oils for skin care and I was immediately interested. At that point, I actually started using rosehip seed oil to get fatty acids into my skin care, but as the weather got warmer I was finding that using oils on my skin was just too heavy, so I was really happy to try out something a little more lightweight that would hopefully give me the same skin care benefits. 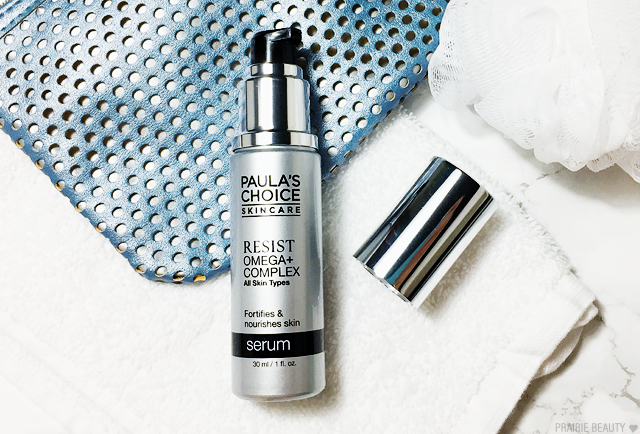 The Paula's Choice RESIST Omega+ Complex has a lotion type texture that feels really smooth and instantly hydrating on the skin, but doesn't feel heavy. It's actually a kind of strange feeling to me when I rub it in, because there's no tackiness but it also doesn't feel like it just disappears into the skin immediately. My skin definitely feels different immediately after applying this. I've found that I can easily use this as a part of my morning skin care routine and it never ends up feeling too heavy or disrupting my makeup. I actually think that I'm probably going to start using this in place of a day cream, because I find it plenty hydrating for my skin along with the benefit of the fatty acids. Overall, since I've been using this I've really been happy with the results in my skin. I don't think this is a product that's going to wow you with overwhelming changes to the look of your skin if you're already into a skin care routine that works for you, but I definitely think that it's a great addition to my routine and is really helping my skin to look and feel plump, hydrated, and healthy. 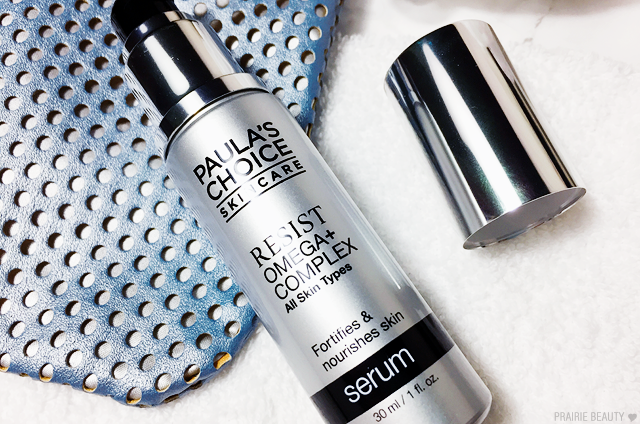 Paula's Choice RESIST Omega+ Complex* is available from their website for $36US.